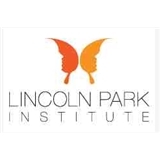 Lincoln Park Institute (Chicago) - Book Appointment Online! Lincoln Park Institute is in a beautifully renovated, 6,000-square-foot, circa 1880s building. Our reception area, consultation rooms, surgical suites and operating rooms have been designed and equipped with your care and comfort in mind. As Chicago oral, cosmetic, and periodontal surgeons, our Lincoln Park practice provides dental implant services, cosmetic surgery, plastic surgery, tooth extractions, facial trauma surgery, periodontal treatment, and more to Chicago and the surrounding suburbs.